At Daffodils... More Elegance is Our Speciality! Daffodils has been a leading full service florist in the Chicago, Illinois and surrounding area with over 10 years of floral experience. Whether you prefer something time-honored and traditional or something contemporary and modern, we design our floral arrangements with you in mind. We hope you enjoy your online shopping experience with secure 24-hr ordering at your fingertips. If preferred, you may call us to place orders direct at 773-276-1000 or 1-888-551-9553. We deliver daily to all local funeral homes and hospitals. Look to Daffodils for unique gift ideas for any age or gender such as: scented candles, handmade natural soaps, bath and body products, aromatherapy, massage oils, fancy jewelry, greeting cards, silk & dried arrangements, green & blooming plants, dish gardens, bamboo plants, plush stuffed animals, and balloons. 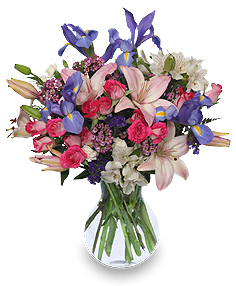 Sympathy and funeral flowers from the heart ~ Let us design and deliver a funeral arrangement that beautifully conveys your expression of sympathy and serves as a lovely memorial to the deceased. Our shop is conveniently located on West Armitage Avenue and is open to serve your floral and gift giving needs.